We were in New York for a few days before we headed up to Montreal, Canada for this years edition of the Mural Festival(Previously on Hookedblog). 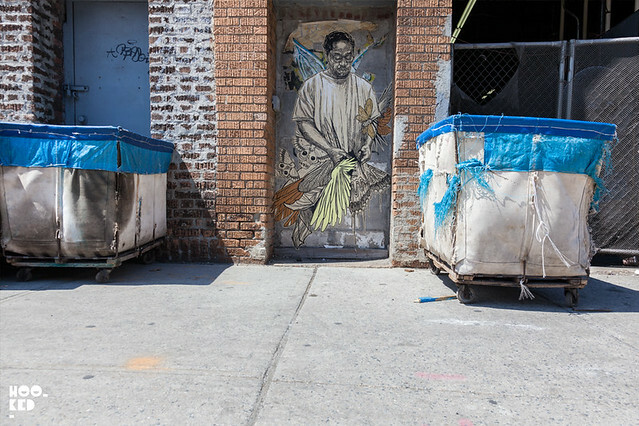 As big fans of Swoons work it was great to discover some large scale wheat pasted works of hers while we were in Red Hook in Brooklyn. 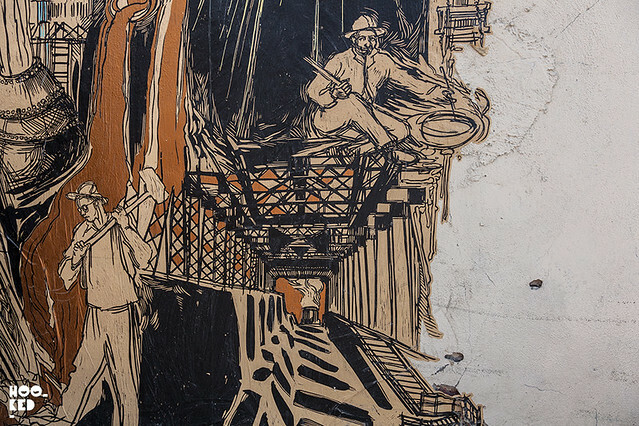 We have already fratured some images we took of these Swoon piece on the Hookedblog site here. 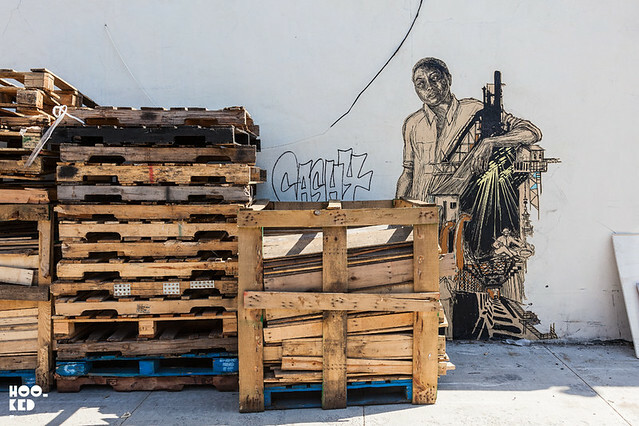 Having returned to New York from Montreal on route back to London it would appear luck was once again on our side as we were made aware though Instagram that Swoon had returned to hit the streets of Brooklyn with a number of new large scale wheat pasteups while we were in Montreal. 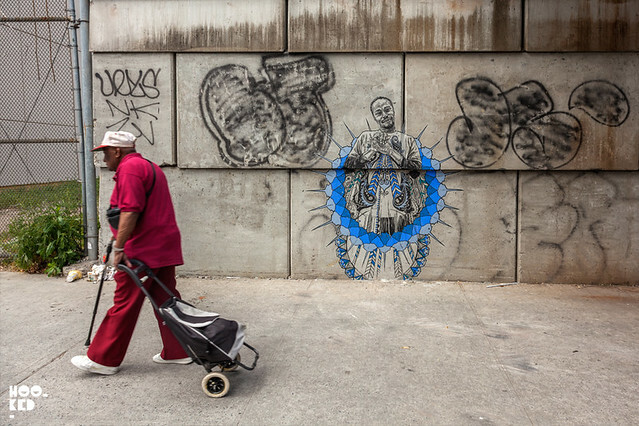 Last week we set out to track down some of these new works deep in Brooklyn spending a number of hours on the subways, buses plus a lot of walking, close to 10 miles to be exact trying to track down these new pieces across the borough. But the effort was most certainly worth it on the discovery of each of the four beautiful works we got to enjoy. Swoon never cease to blow us away with her work and the new pieces some of which must be close to several feet in height were no exception. 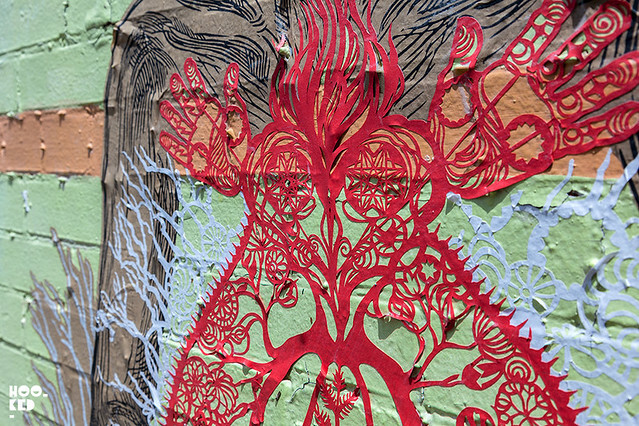 Each placed in suitable locations, the pieces got more elaborate throughout the day starting off with hand painted wheat pasteups right up to delicate multi layered paper cut pieces pasted over a large scale hand painted wheat pasteup. 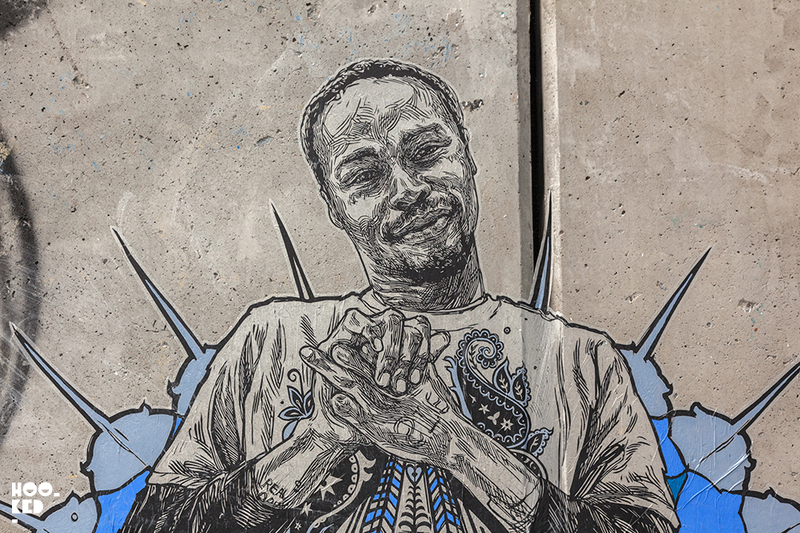 Check out some of the images we captured on our Brooklyn adventure and we hope you enjoy these new works as much as we do. 'Portrait of George'. 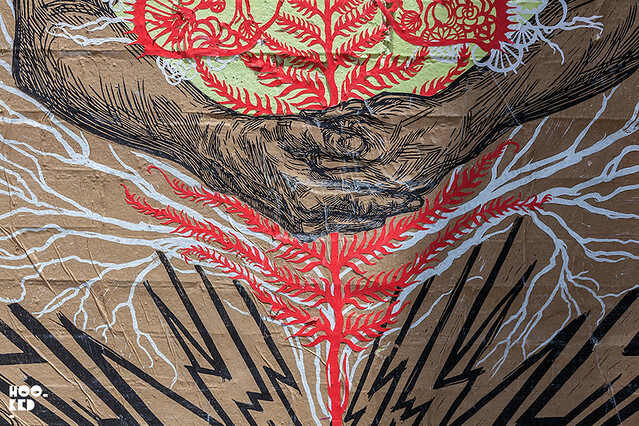 Swoon Linoleum block print with hand painting. 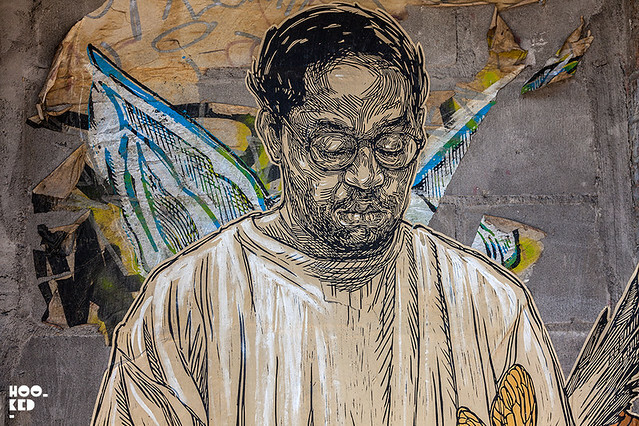 Wheat pasted, Brooklyn. 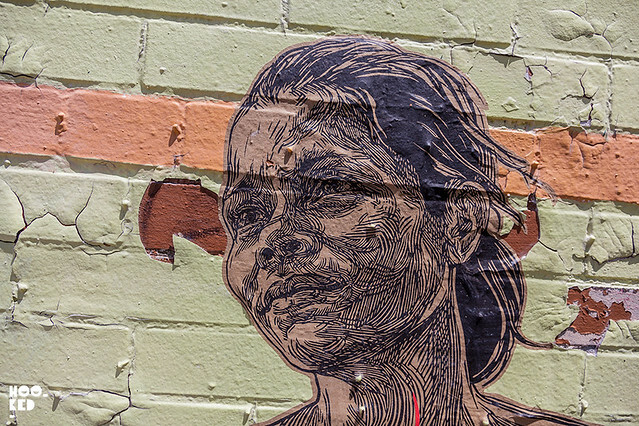 Swoon Linoleum block print and cut paper, wheat-pasted. Brooklyn, NY. 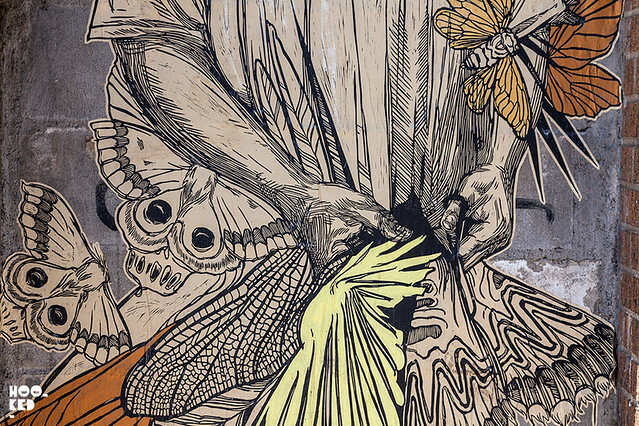 Swoon — Back On The Streets Of London. 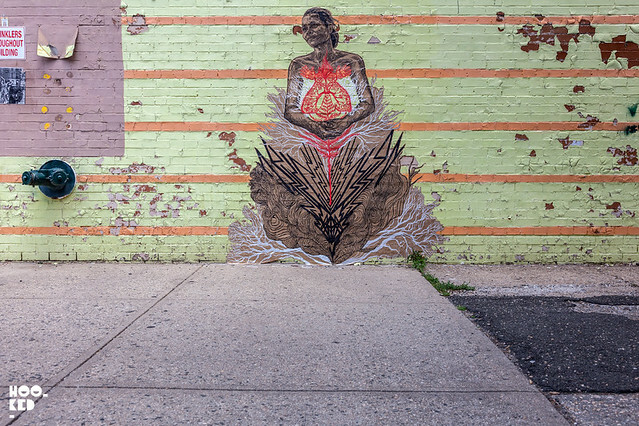 Swoon's street art in Red Hook, Brooklyn.